Women who are trying to conceive a pregnancy have a harder time doing it if they are overweight because obesity (or being overweight) can affect your chances of getting pregnant or having a healthy child born to you. 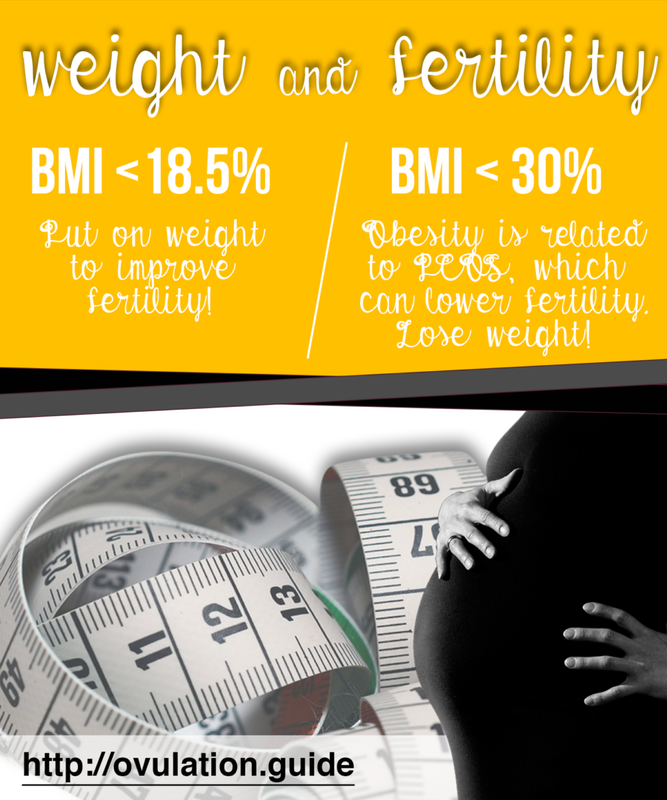 Even being underweight can decrease the chances of being fertile. This is why eating a healthy diet and trying to maintain a normal weight can improve your chances of getting pregnant. The best way to know if you are overweight or obese is to calculate your body mass index. Your body mass index is calculated by providing your weight in pounds and dividing it by your height in inches squared. Multiply the whole thing by 703 and this is your body mass index or BMI. You can also use a BMI calculator on the Internet. A healthy or normal BMI is about 18.5 – 24.9 in women. If your BMI is between 25 and 29.9, you are considered to be overweight and if your BMI is over 30, you are considered to be obese. Losing weight can be difficult, especially if you have been overweight for a long period of time. In actuality, the best way to lose weight is to eat a low calorie, healthy diet and engage in regular exercise. Talk to a dietician about the best way to eat healthy and which things you should avoid if you want to lose weight. Join a gym or find an exercise buddy to start some form of daily exercise that lasts about 30 minutes per day for at least 4-5 days a week. You can have a reduction in your fertility if you are underweight as well. Being underweight can cause imbalances in your hormones that will decrease your ability to ovulate and conceive a child. 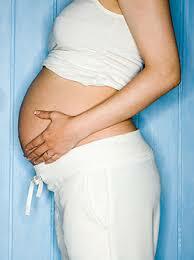 Underweight women, according to statistics, are twice as likely to take longer than a year to become pregnant. If your BMI is less than 18.5, you are considered to be underweight and should put on more weight to improve your fertility. Talk to a dietician about healthy ways to gain weight so you can be more fertile. Being overweight or underweight can result in hormonal imbalances that affect ovulation. The problem seems to be worse in obese women with a BMI over 30 who are trying to have their first baby. Obesity is related to getting polycystic ovarian syndrome or PCOS, which is a common cause of an inability to get pregnant. It is a condition in which the hormonal milieu is inadequate to have healthy eggs and is a common condition, affecting 1 out of every 5 women in their reproductive years. Fortunately, it can be treated so that ovulation and conception can be maximized. Even if you do get pregnant as an obese woman, you will have an increase in complications in the pregnancy and health problems in your newborn baby. There is an increase in high blood pressure in pregnancy, miscarriage, preeclampsia, infection, blood clots, gestational diabetes, stillbirth, Cesarean section, and the need to induce labor if you are obese. Babies who are born to women who are overweight or obese are more likely to be obese when they get older and have more problems with their health growing up and when they are adults. 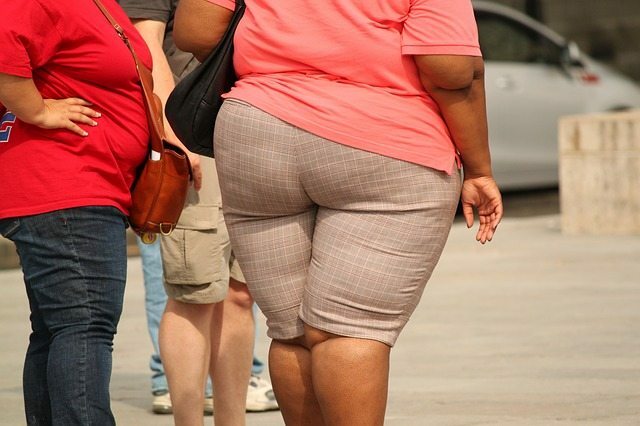 Diabetic women who are obese have to really be careful when planning a pregnancy. You should have your diabetes under the best of control before getting pregnant for at least 3-6 months before trying to have a baby. In summary, women who are overweight or are considered obese have a decreased chance of conceiving a child. They have an increased chance of having to wait a year or more before getting pregnant when compared to women who are of a normal weight. Once pregnant, there is an increased risk in the pregnancy itself, with twice the risk of getting gestational diabetes and triple the risk of preeclampsia. Miscarriage rates are higher in obese women and stillbirth rates are higher.